Recently, a family of five from Michigan was killed in a car accident as they were returning from vacation in Florida. According to a local news report covering the tragic accident, the accident occurred around 2:30 in the morning. Have You Been Injured in a Michigan DUI Accident? 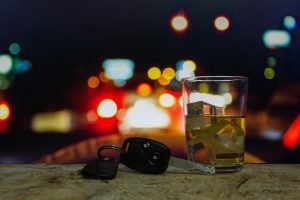 If you or a loved one has recently been injured in a Michigan DUI accident, you may be entitled to monetary compensation for the injuries you have endured. At the Neumann Law Group, we have a proud history representing accident victims in all types of Michigan personal injury cases, including drunk driving accidents and other types of Michigan car accidents. To learn more about how we can help you pursue a claim for compensation, call 616-717-5666 to schedule a free consultation today. Calling is free, and we will not bill you for our services unless we can help you recover for your injuries. Michigan Court Discusses the Difference Between Claims of Medical Malpractice and Ordinary Negligence, Michigan Injury Lawyer Blog, December 11, 2018.